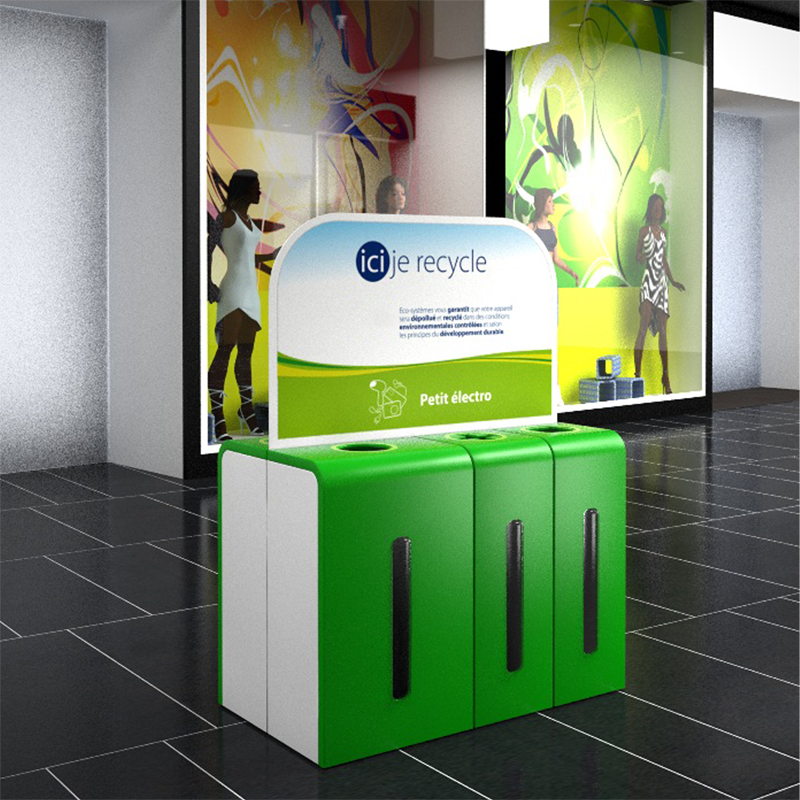 Modern versatile recycling station for the recovery of W. The W Eco Point system is smart and streamlined in appearance, designed to make efficient use of space for internal locations, including public places, offices, shopping malls and recycling centres. 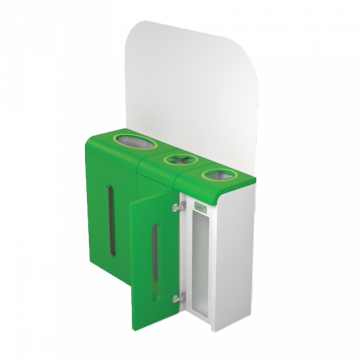 W components can be segregated into separate compartments through apertures in the top of each bin, for the safe and secure storage of mobile phones, used batteries, battery rechargers, cables and inkjet cartridges. 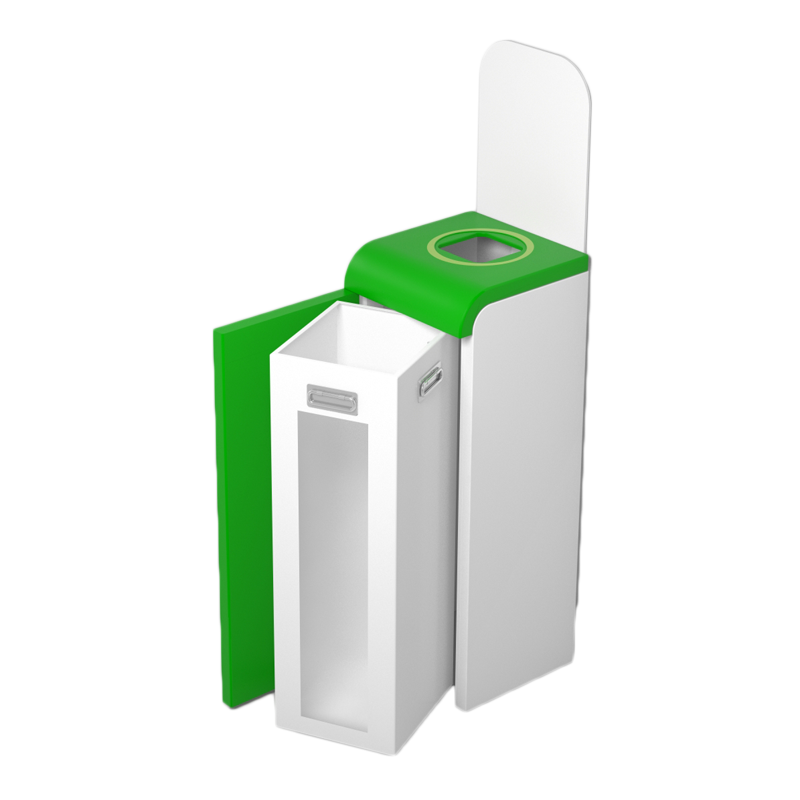 W Eco Point units can be a combination of 1 to 4 bins bolted together, with the option for in-line or a backto- back station. 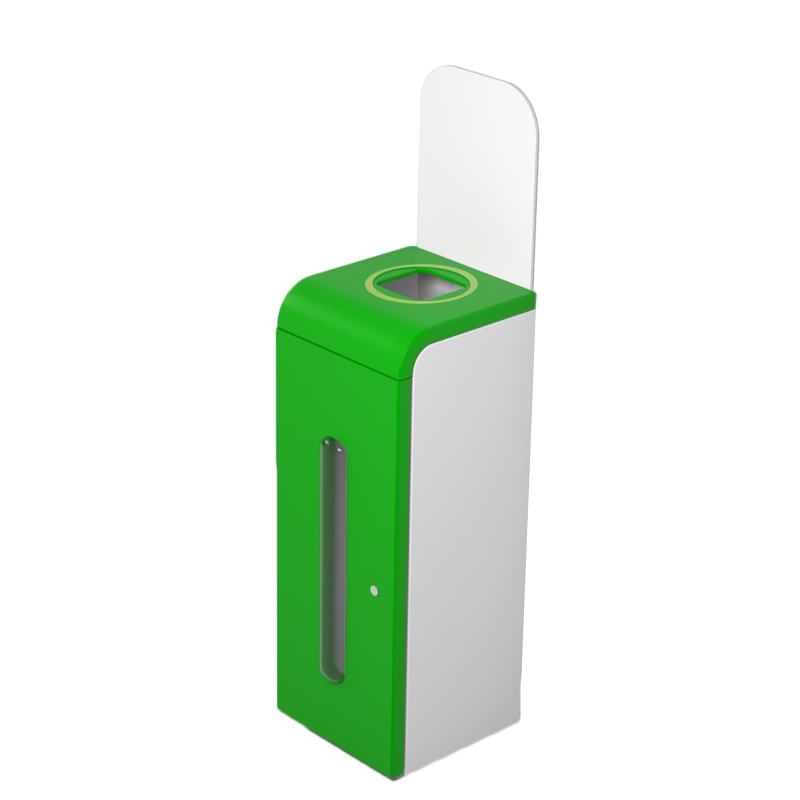 A large container can be used for items such as radios, mobile phones and other small household electrical items; narrower containers for little items such as used batteries, cable etc. Each internal container is a trolley with wheels, with a telescopic handle for easy moving and a handle grip to assist with emptying. 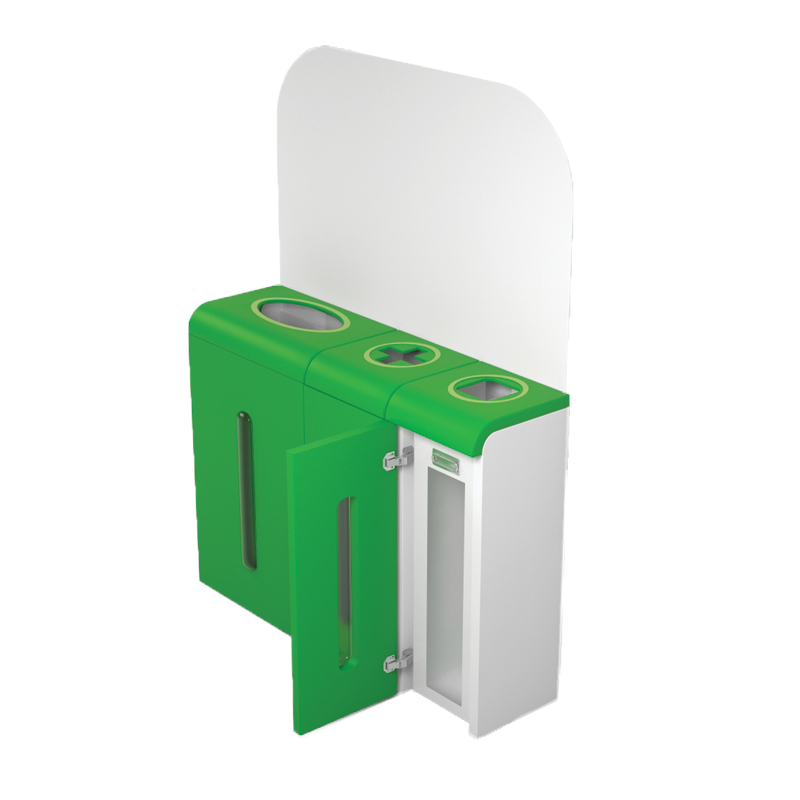 A vertical transparent polycarbonate window at the front of each compartment is a gauge for quickly checking the levels of material inside.